One of the great things about a CSA is that you get to try food that might not be on your regular grocery list. Our winter CSA share has given us a bounty of stuff to play with, the most recent being a bunch of parsnips. I pulled up a recipe from Deborah Madison’s Vegetable Literacy, for parsnips roasted and served with a horseradish cream, figuring that in my book, horseradish makes almost anything taste good. 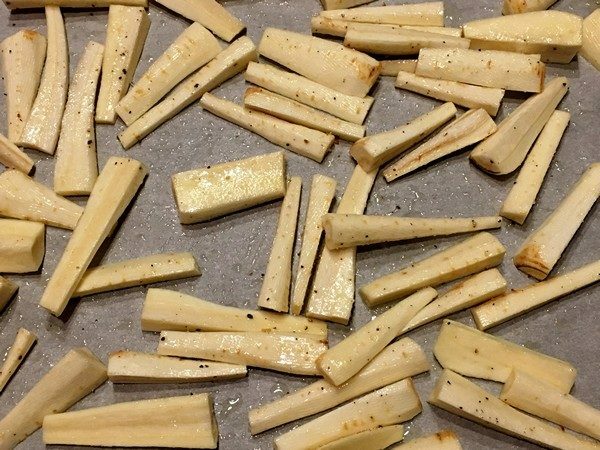 Peel the parsnips and cut them into strips about 2 ½” long and ½” thick. Toss with the oil and season with plenty of salt and pepper. Put them on a roasting sheet, or shallow pan, where they have plenty of room. Roast, turning once or twice until browned and tender, about 35 minutes. Serve with the horseradish cream on the side and enjoy! 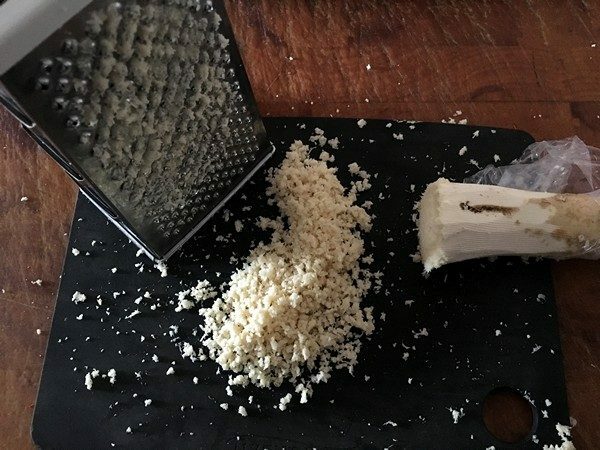 Peel the horseradish and grate on the small holes of a grater. You’ll end up with about 1 cup of grated horseradish. In a small bowl, mix the horseradish, yogurt and vinegar until well combined. Taste and add salt as needed. Refrigerate until serving. My verdict: The taste of the roasted parsnips was great! Much more interesting than their carrot cousins. 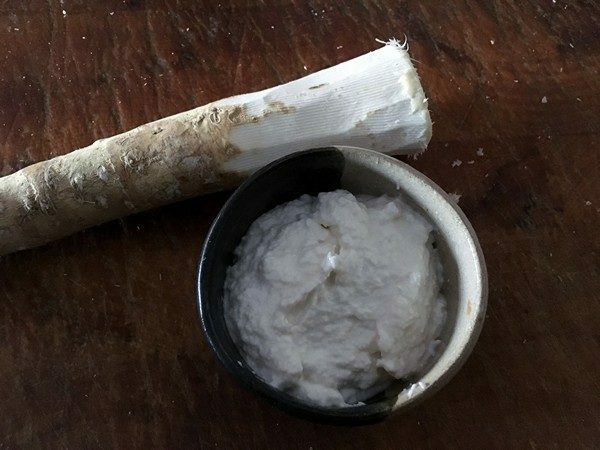 The horseradish cream was good, nice and sharp, and while I liked it a lot, the parsnips could have stood on their own without it. Next time I might try adding some spice mix, like za’atar to the parsnips when I roast them and forgetting the horseradish (or saving it for a steak). 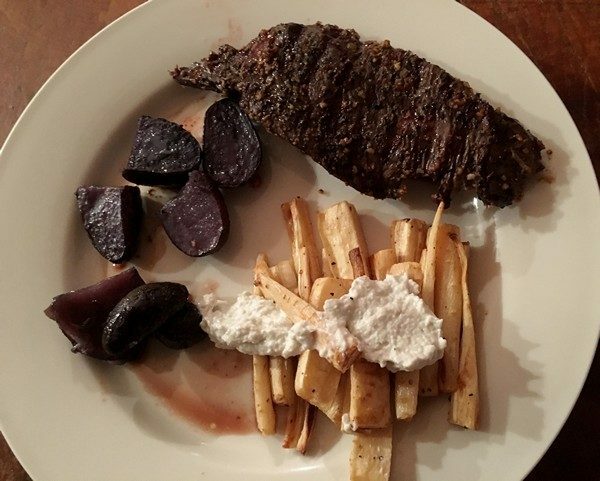 What do you like to pair with parsnips?